In the canned lion industry, cubs are removed immediately after birth. The cubs will be given supplements because they have been denied the vital nutrients from the mother's milk. At 8 weeks old, the cubs will be leased out to petting zoos where they will earn income. Once they are too big for the petting zoos, they are brought back to the breeding stations. When their manes are at their peak, the male lions are photographed and the pictures sent to the hunting conventions in America and Europe. 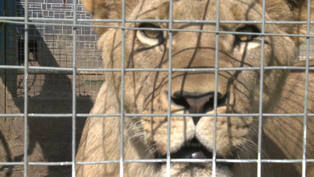 The hunters come out to South Africa and the lion in hunted in a confined space. All transactions are in US dollars. The hunter takes the trophy. The rest of the body parts of the lion are bought by a Taiwanese group in Johannesburg who ship the body parts to China where they are relabeled tiger body parts. The body parts industry from South Africa alone is a cool R50 million per annum. If South Africa has 7,000 lions in captivity and 10% are being hunted, then 700 canned lion hunts per year are being conducted. This is a billion rand industry. The lionesses that bred the cubs, comes back immediately into estrus. She is mated again and produces more cubs, the proverbial breeding machine. In the wilds she would breed every 3 years. In the canned lion industry, it can be 2 litters per year. Profit is the driving force. The breeder, professional hunter, client, body parts trader and end user all benefit. For the unfortunate lions there are no benefits. The tiger is an appendix 1 CITES animal (this means it's highly endangered) Therefore the tiger cannot be hunted legally and so the risk and therefore the price to hunt a tiger, is higher in the canned tiger hunting industry in South Africa. 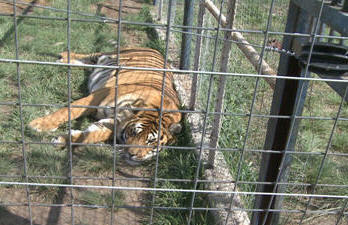 In South Africa canned tiger hunts are conducted in all the provinces with higher prices paid for white tigers. The tiger trophies are smuggled out of South Africa, labeled as museum pieces, research merchandise or they use other devious methods. 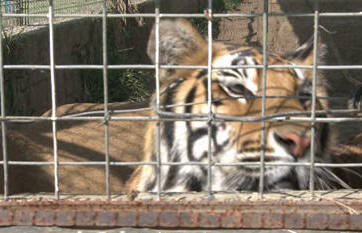 The tiger body parts travel the same route as the lions, to China! Botswana and Zambia have recently outlawed the hunting of cats and so lion, tiger, and canned leopard hunts will boom in South Africa from 2014 and onwards. Nothing to do with conservation, everything to do with money. 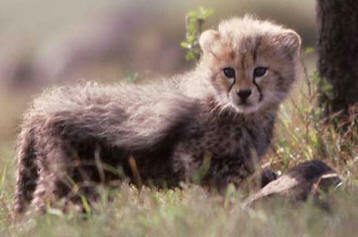 Another endangered cat, the cheetah, fetches around R80,000 for a cub. The cheetah dealers pull the same tricks as the lion dealers. Cheetah cubs are removed hours after birth and once again they are denied the valuable mother's milk which gives them the vital calcium. Cheetah are more susceptible to nutritional problems than lions. The cheetah in its evolutionary journey "bottlenecked" and so today the cheetah has an extremely narrow genetic base. Bone growth for cheetah is more important than any other cat, because the cheetah relies totally on speed to get it to point of contact with the prey. 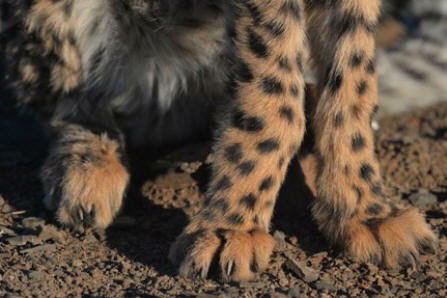 Therefore bone growth in young cheetah is crucial. 1) Taken too soon from its mother. The dealers answer to my query and I quote: "It is compulsory to take cubs away from the mother on about 4 days. From 9 days it gets too difficult because they get too bonded with the mother". What he's actually saying is, "we take the cubs away, so the mother can come back into estrus quickly, so we can get more cubs for more money". No consideration to the cheetah mothers or the cubs. Clearly profit, not conservation is the incentive. The rhino and elephant poachers have taken the poaching to a new level of brutality. Cyanide poisoning of water holes can now kill quicker, bigger numbers and more silently than guns. Brace yourself for a thousand rhinos lost in South Africa by the end of 2013. Greed and profit drives this industry relentlessly. with almost 1,2 million signatures!!! Amazing win! A South African court just ruled that the government violated our right to free speech when they tore down ads calling for the protection of South Africa’s lions -- and we’re all over the news. 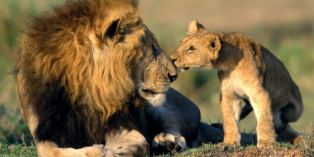 Let’s use this momentum to get our petition to 1 million and save the lions. The South African airport authority (ACSA) refused to put our ads back up and, since their censorship violates our free speech rights under the South African constitution, we've taken them to court! We won't let the government silence our calls to save South Africa's lions. You can read our opening court filing here, ACSA's response here and our reply to their response here. The court hearing should take place early in 2013. If we can show President Zuma that this brutal trade is hurting South Africa's image as a tourist destination, he could ban the trade in lion bones. Avaaz is taking out strong ads in airports, tourism websites and magazines, but we urgently need 1 million petition signers to give the ads their force. Sign the petition to build our numbers fast.